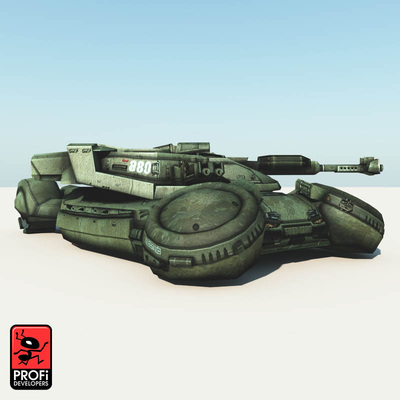 Nice sci-fi battle tank. 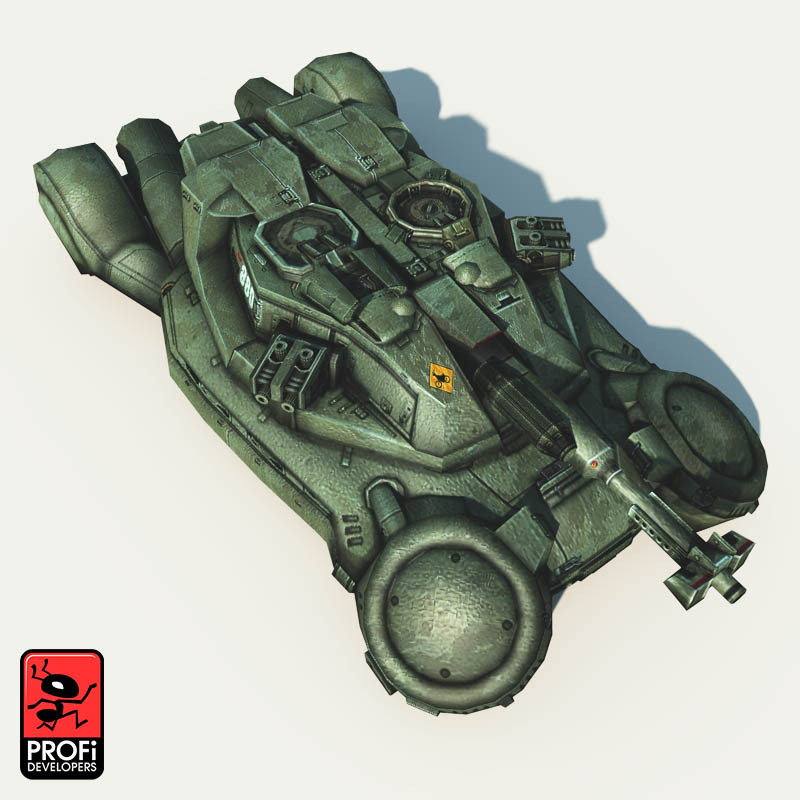 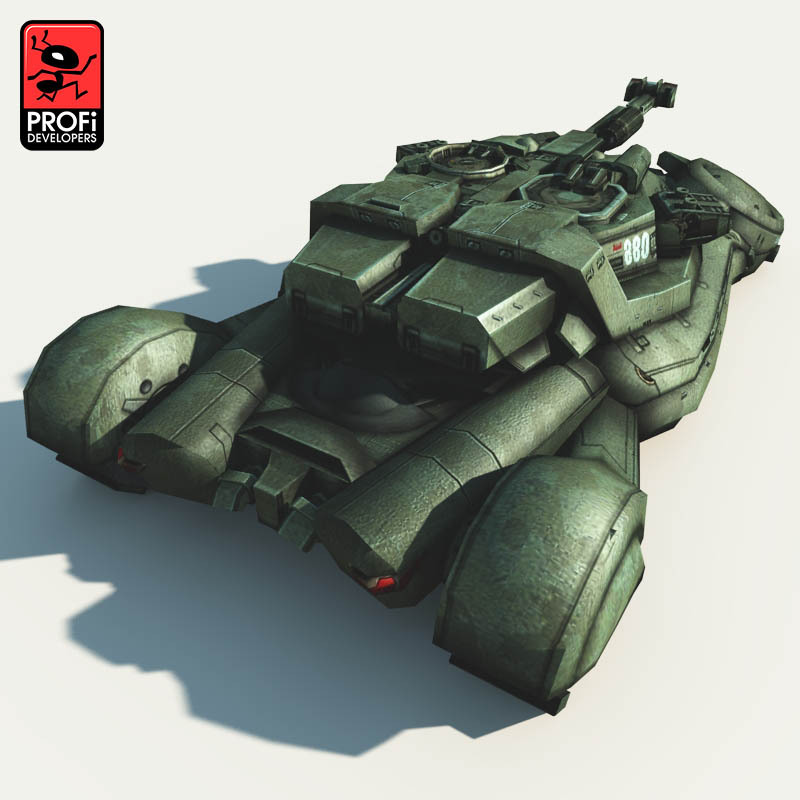 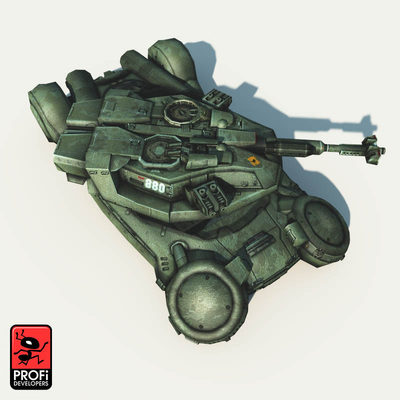 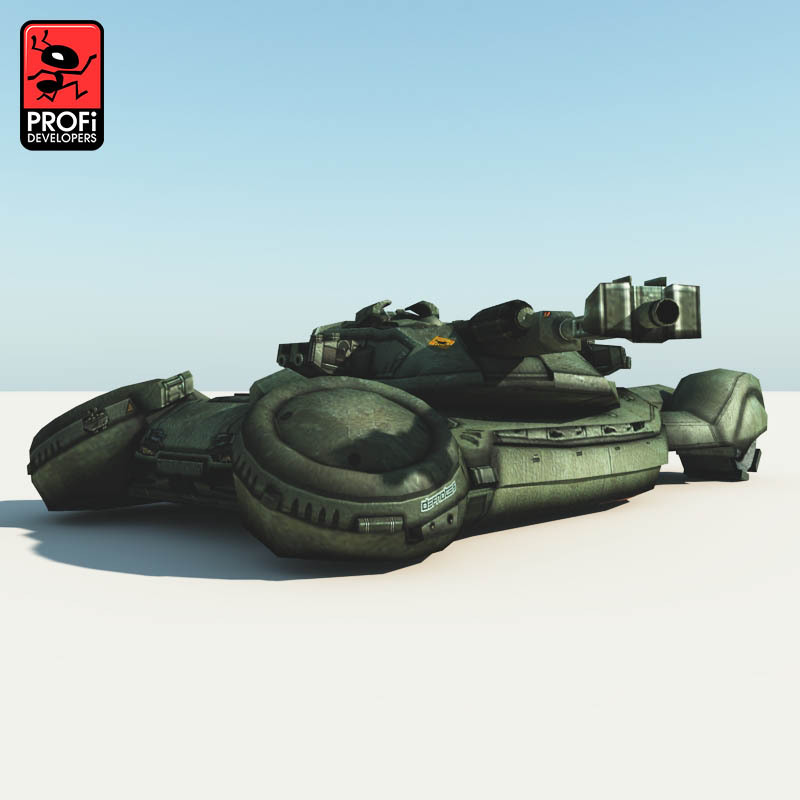 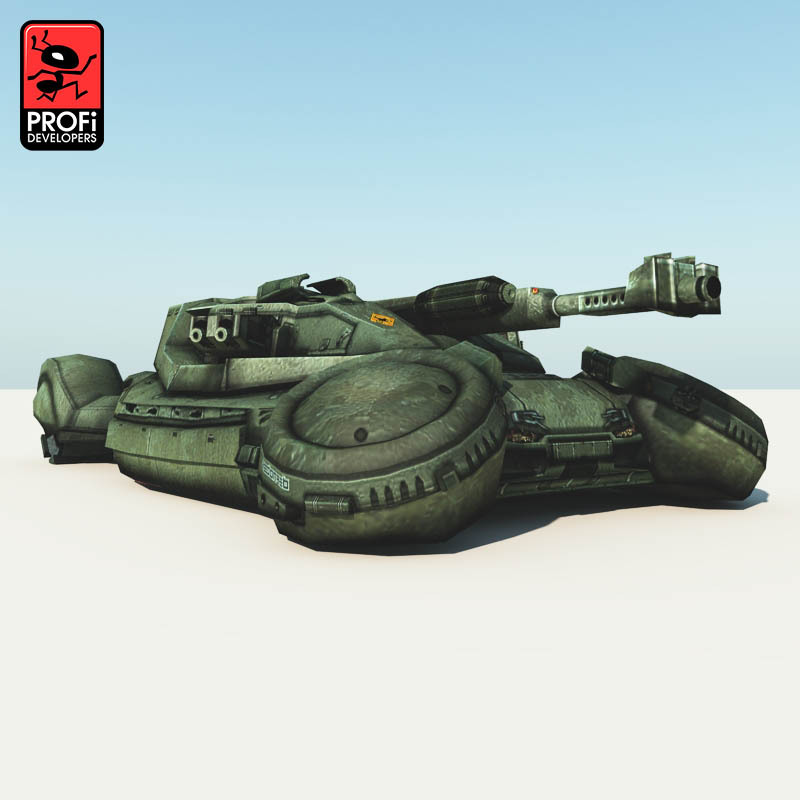 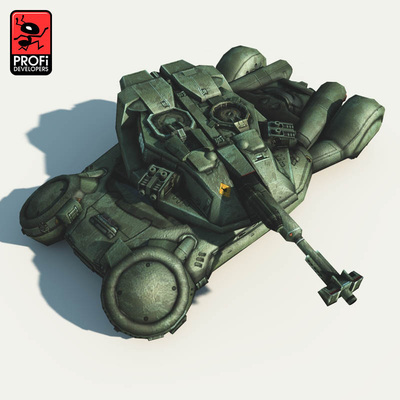 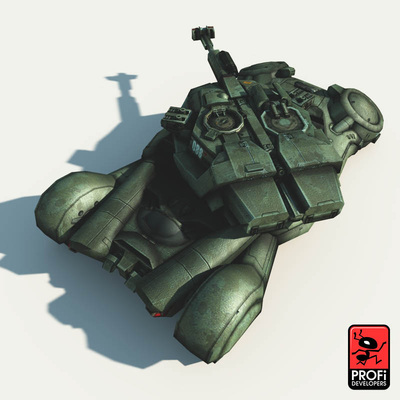 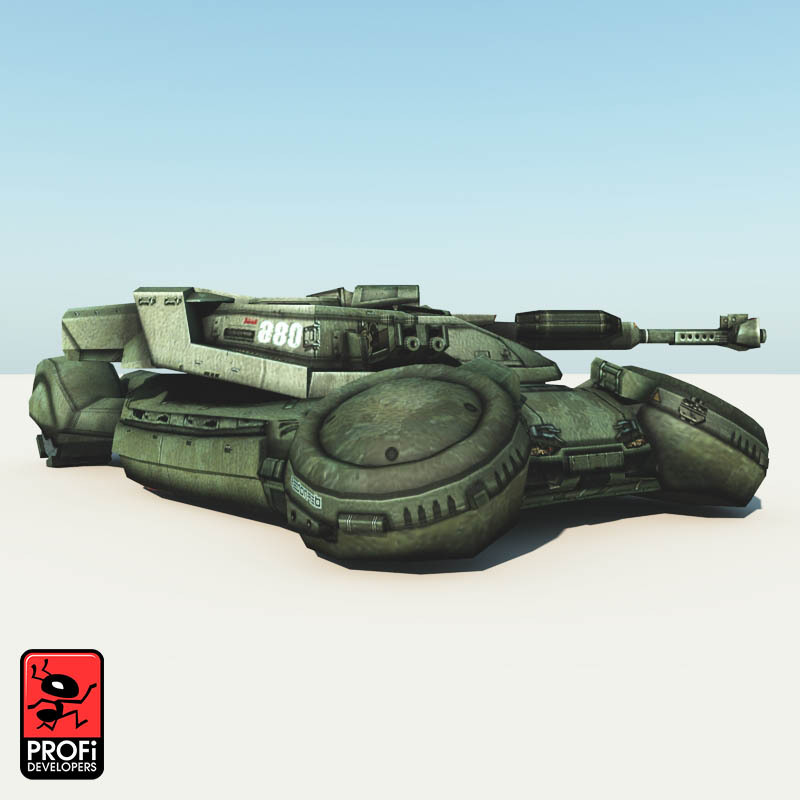 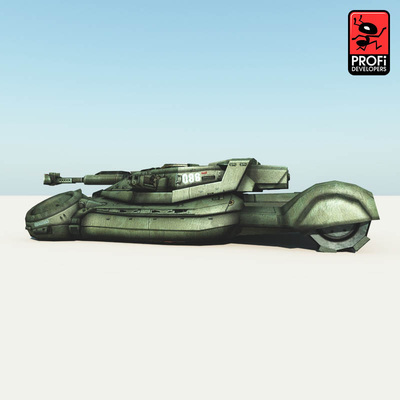 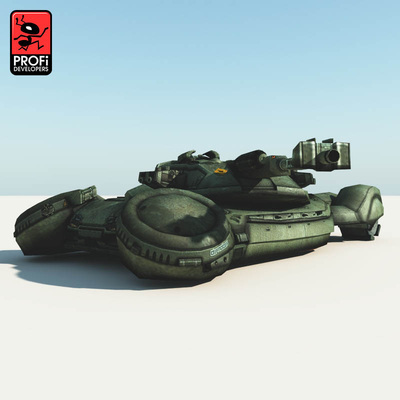 This model has separated and pivoted wheels, turret and barrel that can be animated. 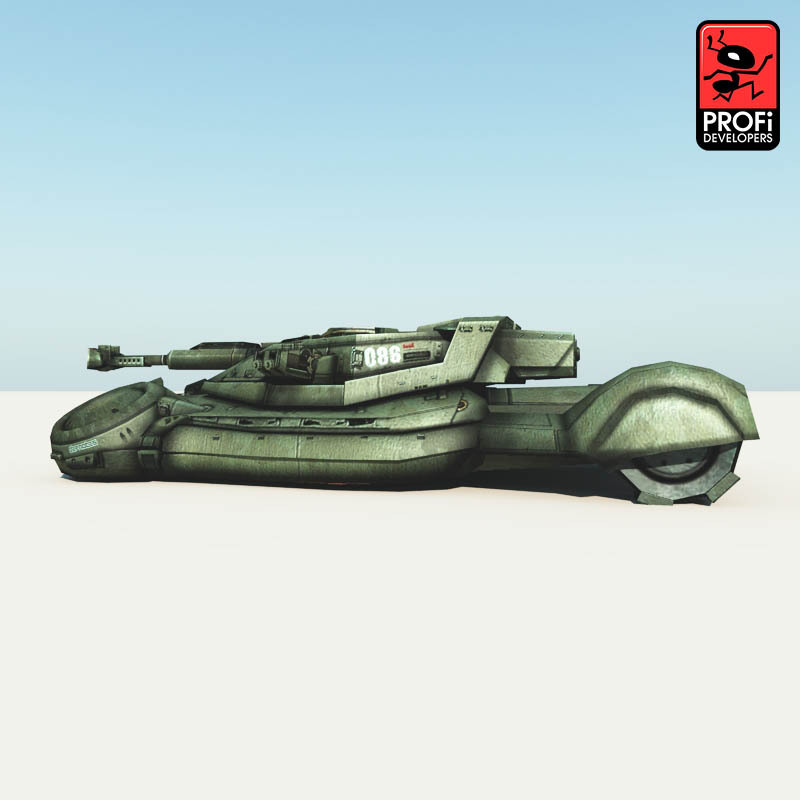 The texture size is 1024x1024 pixels in JPG format. 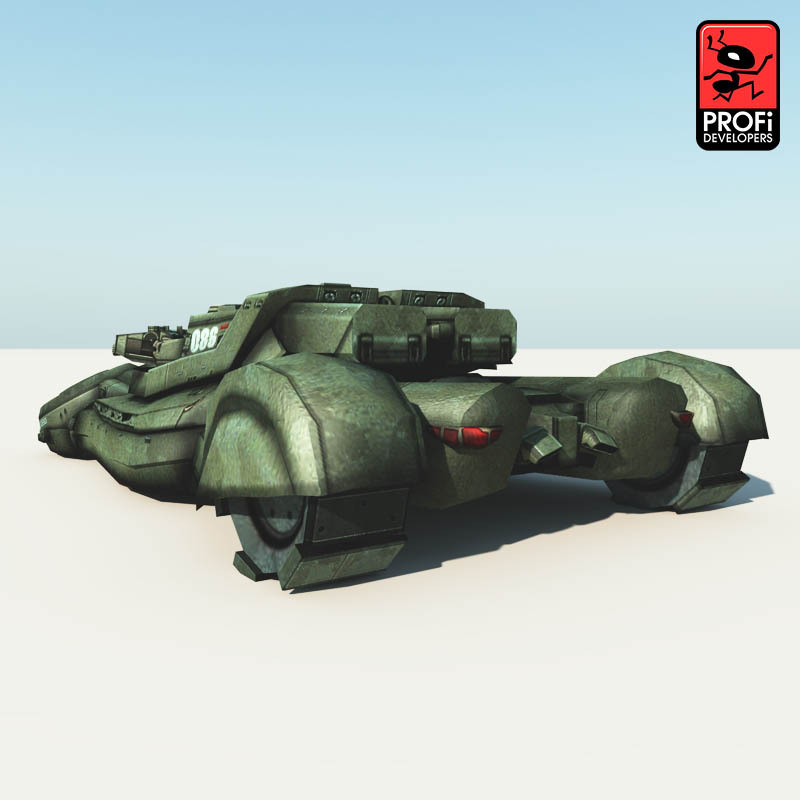 This 3d model works best for observers from the middle distance.